Born in London in 1929 Terry Shannon turned himself into probably the best of the British modern jazz pianists. He started playing in early childhood and was entirely self-taught, relying more on what could be gleaned from records than on academic training. Throughout his career he was a poor reader of music. He did local gigs, including a few with trumpet player Les Condon, but for eight years after leaving school worked in an office job with Esso. He became a professional musician with some trepidation, giving up security and regular wages to join the quartet of clarinettist Vic Ash in 1955. He made his first record with Jimmy Deuchar and became a regular on the classic Tempo records of the mid 1950s recording with all the top names - Dizzy Reece, Ronnie Scott, Tubby Hayes and Victor Feldman. He had a sophisticated harmonic sense which coupled with his superb sense of time, and an assertive but never fussy accompaniment style together with an ability to build powerful solos lead to many of Britain's modernists naming him as their favourite pianist. In 1957 Shannon joined the Jazz Couriers led by Ronnie Scott and Tubby Hayes, and it is hard to imagine a better setting for him. It is said that Tubby Hayes tolerated Shannon's poor sight reading skills because he admired his playing so much and his work throughout the four Jazz Couriers albums is that of a master pianist. Hayes was quick to praise Shannon's contribution to the Couriers music, and when the band split in 1959 Shannon stayed on and spent much of the next five years working with Tubby's various groups. When the Jazz Couriers split up he joined Ronnie Ross and Alan Ganley for a time in 1959 with the Jazz Makers. During the 1960s he worked regularly with Tubby Hayes in groups of all sizes and for a time had his own trio He was also in the Keith Christie / Jimmy Deuchar Five in 1965. Shannon emerged from this period as an amazingly consistent performer with a genuine ability to play the blues in a convincing and sincere way. His career began to falter in the late 1960s, through a combination of the usual jazz vices and bitterness. 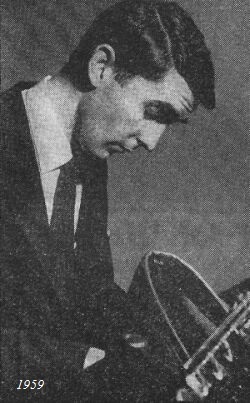 In the late 1960s he worked with the Phil Seamen Trio and also had his own trio, but a long illness in the 1970s kept him off the scene and he quit playing for a number of years. On his return in the 1980s he played occasional gigs as a freelance. He moved to South Humberside in 1988, returning to London five years later, finally settling in Lincolnshire. He then resumed regular playing in Sheffield, Manchester, etc in various groups. Terry Shannon never did make the trio record that everybody wanted to hear. According to Tony Hall, who was the jazz record producer for Tempo records, "We discussed it in the last months of Tempo, but he hadn't got the confidence to do it. That was definately something I wanted him to do." Jimmy Deuchar (tp), Terry Shannon (p), Lennie Bush (b), Tony Crombie (d). Dance Little Lady*/Dancing In The Dark*/Dancing On The Ceiling*/Dance Of The Infidels*. Vic Ash (cl), Terry Shannon (p), Pete Elderfield (b), Benny Goodman (d). Early Morning(1)*#/Doxy(1)*/Blue Lou(1)*/Just One Of Those Things*. Dizzy Reece (tp), Ronnie Scott (ts)^, Terry Shannon (p), Lennie Bush (b), Phil Seamen (d). Yardbird Suite(1)*/How Deep Is The Ocean(1)*/Bluebird (take1)(1)*/Bluebird (take2)(1)*/Out Of Nowhere(3)^*/Scrapple From The Apple(3)^*. Ronnie Scott (ts), Harry Klein (bs), Tubby Hayes (ts ^two tracks), Terry Shannon (p), Lennie Bush (b), Tony Crombie (d). A Night In Tunisia*^/Stars Fell On Alabama*#/Once In A While*#/Soho Blues*#/Annie-mation*#/Autumn Leaves*#/Laker's Day*^. (Three further titles from this session remain unissued: Bag's Groove/I Want to Be Happy/unknown title). Ronnie Scott (ts), Jimmy Deuchar (tp), Terry Shannon (p), Lennie Bush (b), Allan Ganley (d). Victor Feldman (vib), Terry Shannon (p), Pete Blannin (b), Phil Seamen (d). Jackpot*/Karen*/You Are Too Beautiful*/You Are My Hearts Delight*. Victor Feldman (vib), Terry Shannon (p), Lennie Bush (b), Phil Seamen (d), Dizzy Reece (tp)^. Wilbert's Tune*^./The Minor And The Major*/The Toff*. Times A Wastin'/Gone With The Wind/I'll Take Romance/Speak Low/Bass House/IPA Special. Wail*/It Ain't Necessarily So*/Wailing Wall*. Ronnie Scott (ts), Tubby Hayes (ts, vib), Jimmy Deuchar(* only) (tp), Terry Shannon (p), Phil Bates (b), Bill Eyden (d). Through The Night Roared The Overland Express(1)*^#/Royal Ascot*^#/ On A Misty Night(1)^#! (^2 takes)/Cheek To Cheek^"#/Oh My! (2)+#/Plebus+#"/Reunion+#/A Foggy Day(2)+#"/The Theme(2)^#. Ronnie Scott (ts), Tubby Hayes (ts, vib), Terry Shannon (p), Phil Bates (b), Bill Eyden (d). Stella By Starlight*+/Guys And Dolls*+/I Keep Thinking It's Thursday*/Plebus*. Ronnie Scott (ts), Tubby Hayes (ts), Terry Shannon (p), Phil Bates (b), Bill Eyden (d). Ronnie Scott (ts), Tubby Hayes (ts,vib), Terry Shannon (p), Phil Bates (b), Bill Eyden (d). What Is This Thing Called Love?#/Some Of My Best Friends Are Blues#""^/The Serpent#""*/Guys And Dolls#""/Time Was#/Speak Low#/Cheek To Cheek#""*^. Love Letters*#/What Is This Thing Called Love*/Some Of My Best Friends Are Blues*/The Serpent*#. Dizzy Reece, Donald Byrd (tp), Tubby Hayes (ts), Terry Shannon (p), Lloyd Thompson (b), Art Taylor (d). Color blind*#(DB out)/Blues In Trinity*#(DB out)/Just A Penny*/Round About Midnight*#+(DR,DB out)/I Had The Craziest Dream*#(TH,DB out)/Eboo*/Close Up*#/Shepherd's Serenade*#. Ronnie Scott (ts), Tubby Hayes (ts), Terry Shannon (p), Jeff Clyne (b), Bill Eyden (d). Things Ain't What They Used To Be*/Oasis*/Come Rain Or Come Shine*. Ronnie Scott (ts), Tubby Hayes (ts, vib), Terry Shannon (p), Jeff Clyne (b), Bill Eyden (d). Mirage*/After Tea*/Stop The World, I Want To Get Off*/In Salah*/Star Eyes*/The Monk*#/My Funny Valentine*/Day In Day Out*. Stu Hamer, Les Condon (tp), Alan Branscombe (as), Tubby Hayes, Ronnie Scott (ts), Terry Shannon (p), Jeff Clyne (b), Bill Eyden (d). Ronnie Scott (ts), Tubby Hayes (ts,vib), Dizzy Reece (tp-1),Terry Shannon (p), Jeff Clyne (b), Bill Eyden (d). Tippin'/For All We Know/Embers/Cherokee/The Theme. Dickie McPherson, Jimmy Deuchar, Leon Calvert, Gordon Turnbill(Kenny Wheeler) (tp), Keith Christie (tb), Roy East (as), Vic Ash (cl,ts) Art Ellefson (ts), Ronnie Ross (bs), Terry Shannon (p), Arthur Watts (b), Allan Ganley (d), Vic Lewis (dir). The Beaulie Suite/Selections From The Springbok And American Suite . Ronnie Scott (ts), Tubby Hayes (ts, vib, fl), Terry Shannon (p), Kenny Napper (b), Phil Seamen (d). If This Isn't Love*"#/Easy To Love*/Whisper Not*/Autumn Leaves*/ Too Close For Comfort*"/Yesterdays*/Love Walked In*. probably: Ronnie Scott (ts), Tubby Hayes (ts), Terry Shannon (p), Phil Bates (b), Bill Eyden (d). Monk Was Here*/Last Minute Blues*#. Wilton "Bogey" Gaynair (ts), Terry Shannon (p), Kenny Napper (b), Bill Eyden (d). Wilton's Mood*/Deborah*/Joy Spring*/Rhythm*/Blues For Tony*/The Way You Look Tonight*/Gone With The Wind*+. Bobby Pratt, Les Condon, Hank Shaw, Eddie Blair (tp), Hank Stampf (tb,bs-tp), Alan Branscombe (as), Tubby Hayes, Johnny Scott (ts), Jack Sharpe (bs), Terry Shannon (p), Jeff Clyne (b), Phil Seamen (d). Along Came Betty*/The Scene Is Clean*/East Of The Sun*/Southern Horizons*/Blues At The Manor*/Confirmation*/"E"*. Bobby Pratt, Les Condon, Jimmy Deuchar, Eddie Blair (tp), Keith Christie (tb), Alan Branscombe (as), Tubby Hayes, Ronnie Scott (ts), Jack Sharpe (bs), Terry Shannon (p), Jeff Clyne (b), Victor Feldman (d). AH Bah Chu*/East Of The Sun*/Confirmation*/Loke Someone In Love*/Une Momentum*/Southern Horizons*/Sister Sadie*. Tubby Hayes (ts), Terry Shannon (p), Jeff Clyne (b), Phil Seamen (d). Tin Tin Deo (two takes)*"#+/Embers*#/Like Someone In Love*#/The Surrey With The Fringe On Top*"#/Sunny Monday*"#/Blue Hayes*"#/Unidentified 12 Bar Theme (two takes)*. Tin Tin Deo*/Visa*/Supper At Phil's*/Symphony*/Hook's Way*/The Trolley Song*. Dickie McPherson, Jimmy Deuchar, Leon Calvert, Gordon Turnbill (tp), Keith Christie (tb), Roy East (as,fl), Vic Ash (cl,ts) Art Ellefson (ts), Ronnie Ross (bs), Terry Shannon (p), Ray Dempsey (g), Arthur Watts (b), Allan Ganley (d), Vic Lewis (dir). Jimmy Deuchar, Derrick Abbott, Ian Hamer, Bert Courtley (tp), Keith Christie, Lad Busby, Ken Wray, Ray Premru (tb), Alan Branscombe, Joe Harriott (as), Ronnie Scott (ts), Tubby Hayes (ts,fl), Ronnie Ross (bs),Terry Shannon (p) Harry South (p,dir), Phil Bates (b), Jackie Dougan (d). Shake Keane (tp), Wilton "Bogey" Gaynair (ts), Terry Shannon (p), Jeff Clyne (b), Bill Eyden (d). Africa Calling*/Kingston By Pass*/Blue Ghana*/Way You Look Tonight*/Just For Jan*/Rianyag*. Tubby Hayes (ts,vib), Terry Shannon (p), Jeff Clyne (b), Bill Eyden (d). Tubby Hayes (ts), Bobby Pratt, Stan Roderick, Eddie Blair, Jimmy Deuchar (tp), Don Lusher, Jimmy Wilson, Keith Christie, Ray Premru (tb), Alfie Rees (tu), Johnny Scott (pic), Terry Shannon (p), Jeff Clyne (b), Bill Eyden (d). Tubby Hayes (vib), + flutes, clarinets, oboe, guitar + Terry Shannon (p), Jeff Clyne (b), Bill Eyden (d). S'posin*/The Folks Who Live On The Hill*. Tubby Hayes (ts), Terry Shannon (p), Jeff Clyne (b), Bill Eyden (d). The Late One*/RTH*/Falling In Love With Love*/Wonderful! Wonderful!*. Tubby Hayes (ts, fl), Terry Shannon (p), Jeff Clyne (b), Bill Eyden (d). Harold McNair (as,f), Terry Shannon (p), Jeff Clyne (b), Phil Seamen (d). Personnel includes: Jimmy Deuchar, Eddie Blair, Les Condon (tp), Keith Christie, Ken Wray (tb), Bobby Wellins, Tubby Hayes, Bob Efford, Ronnie Ross (reeds), Allan Siville (frh), Terry Shannon (p), Jeff Clyne (b), Bill Eyden (d). Don Rendell (sop), Joe Harriott (as), Tubby Hayes, Ronnie Scott (ts), Ronnie Ross (bs), Terry Shannon (p), Lennie Bush (b), Allan Ganley (d), Steve Race (arr,cond). The Jazz Scene*+/Have Jazz Will Travel*. Jimmy Deuchar (tp,mel), Shake Keane (tp,flhrn), Tubby Hayes (ts,f), Ronnie Scott (ts), Terry Shannon (p), Ray Dempsey (g), Freddy Logan (b), Kenny Clare (d), Vic Lewis (ldr). Vic's Tune*/Ricardo*/Danielle*/Last Minute Bossa Nova*. Tubby Hayes (ts), Jimmy Deuchar (tp), Terry Shannon (p), Freddie Logan (b), Allan Ganley (d). Spring Can Really Hang You Up The Most*. If You Knew*/As Close As You Are*/Two Bass Hit*. Tubby Hayes (ts,fl), Jimmy Deuchar (tp,mel), Terry Shannon (p), Freddie Logan (b), Allan Ganley (d). All Of You*/Don't Fall Off The Bridge*/Modes And Blues*/Blue Flues*. Jimmy Deuchar (tp,mell), Tubby Hayes (ts,fl), Terry Shannon (p), Freddie Logan (b), Allan Ganley (d). Tubby Hayes (ts,fl), Jimmy Deuchar (tp), Terry Shannon (p), Freddie Logan (b), Allan Ganley (d). The Simple Waltz*/Opus Ocean#/The Sweetest Sound+. Tubby Hayes (ts), Jimmy Deuchar (tp,mell), Terry Shannon (p), Freddie Logan (b), Allan Ganley (d). Modes & Blues (part 1)/Modes & Blues (part 2). As Close As you Are*/Dancing In The Dark*/Younger Than Springtime*/With The Wind And The Rain In Your Hair*/Suddenly Last Tuesday*/Quintet Theme*. Cat Anderson (tp), Rolf Ericson (flhrn), Tubby Hayes (ts), Jimmy Deuchar (tp,mell), Terry Shannon (p), Freddie Logan (b), Allan Ganley (d). Inventivity*/Billie's Bounce*/Oleo*/Quintet Theme*/Mean To Me*/Split Kick*. Jimmy Deuchar (tp,mel), Ian Hamer, Bert Courtley (tp), Keith Christie (tb), Ken Wray (v-tb), Jackie Sharpe (bs,cl), Alan Branscombe (as,bs, b-cl), Tubby Hayes (ts,fl,vib,timp), Peter King, Bobby Wellins (ts,cl), Terry Shannon (p), Freddie Logan (b), Allan Ganley (d). In The Night*/The Scandinavian*/Pedro's Walk*/Raga*. Les Condon (tp), Ronnie Ross (as,bs,b-cl) replace Bert Courtley and Alan Branscombe. Israel Nights*/Russian Roulette*/Parisian Thoroughfare*/The Killers Of W.1*/Sasa-hivi*. Sonny Stitt (as,ts,vcl), Terry Shannon (p), Rick Laird (b), Benny Goodman (d). Mother/My Mother's Eyes/Sonny's Theme Song/It Could Happen To You/Lady Be Good. Sal Nistico, Tubby Hayes (ts), Jimmy Deuchar (tp,mell), Terry Shannon (p), Freddie Logan (b), Allan Ganley (d). Jimmy Deuchar, Ian Hamer, Les Condon (tp), Keith Christie, Ken Wray (tb), Tubby Hayes (ts,fl,vib), Peter King, Bobby Wellins (ts), Ronnie Ross, Jackie Sharpe (bs), Terry Shannon (p), Freddie Logan (b), Allan Ganley (d). Tony Coe (as,fl,ts), Tubby Hayes (ts,vib,fl), Paul Gonsalves, Ronnie Scott (ts), Jackie Sharpe (bs), Ray Nance* (tp,vln,voc), Terry Shannon (p), John Lamb (b), Ronnie Stephenson (d). Royal Flush/Change Of Setting/Tubby's Theme/Deb's Delight/Don't Fall Off The Bridge/Child's Fancy*/Min And Madge Blues*/Speedy Gonsalves*. Tubby Hayes (ts), Terry Shannon (p)#, Jeff Clyne (b)#, Benny Goodman (d)#. I'm Old Fashioned*/A Weaver Of Dreams#/Nobody Else But Me#. MarchTubby Hayes (ts), poss. Terry Shannon (p), Jeff Clyne (b), Jackie Dougan (d). Don't Fall Off The Bridge*. Tubby Hayes (ts), Terry Shannon (p), Jeff Clyne (b), Benny Goodman (d). This page was last updated during March, 2017.